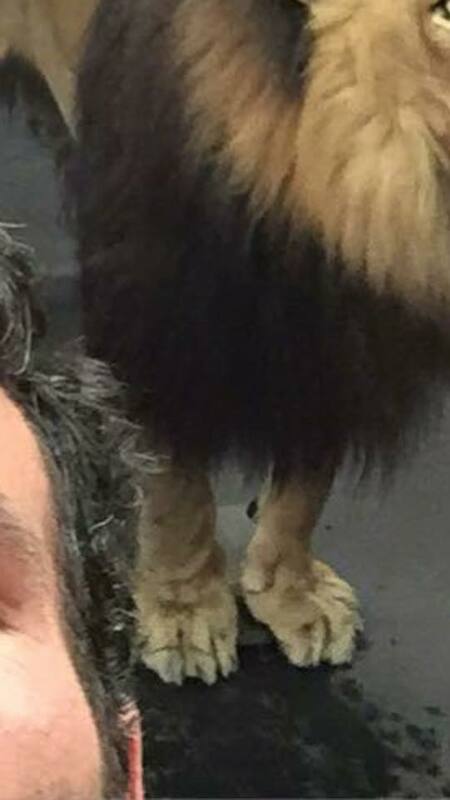 The famous professional poker player and actor Dan Brandon Bilzerian has published a picture on his Facebook page which shows how he has taken a selfie with a (fake, see picture below) underfed lion. 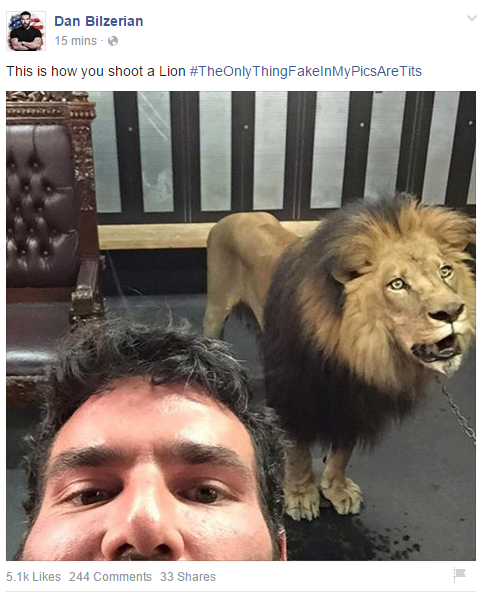 The fans on his Facebook page have started to bash on Dan Bilzerian, stating that he should take care of the lion. Some people on his page also decided to start trolling him by claiming that Dan Bilzerian his legs are skinny.